1. Adopt world-level advanced technology. 3. 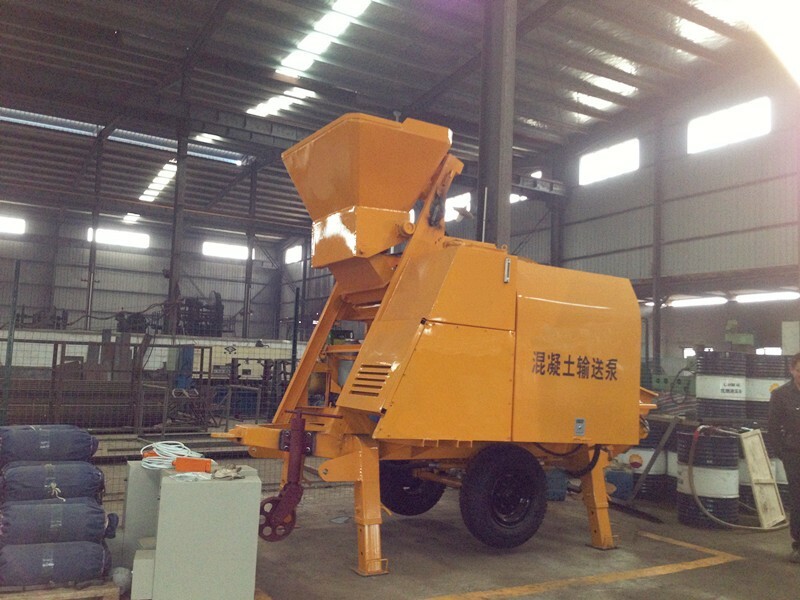 All-hydraulic pumping system ensures stable operation. 4. Equipped with wired remote control, which makes it more convenient to operate. 5. Diesel engine ensures normal operation without electricity. 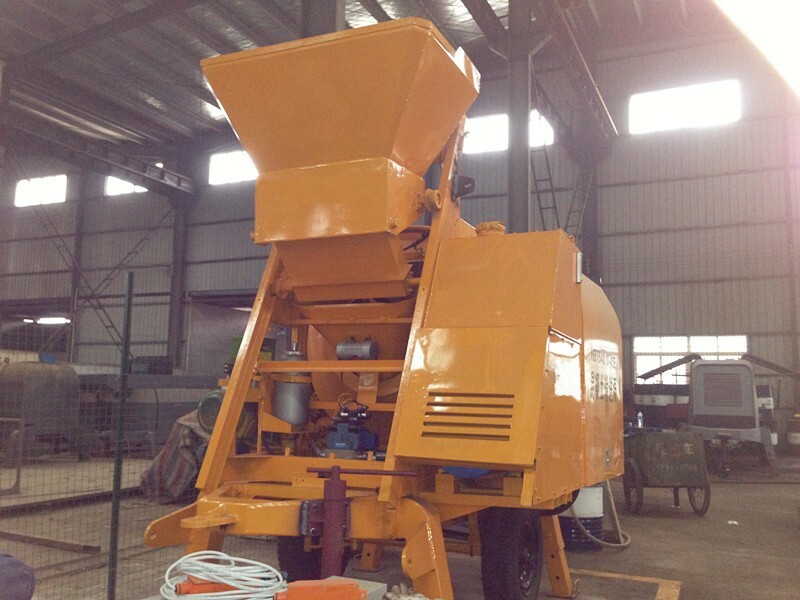 Concrete pump mixer is the combination of mixing system and pumping system. The hoisting system brings all the materials into mixing drum to mix. 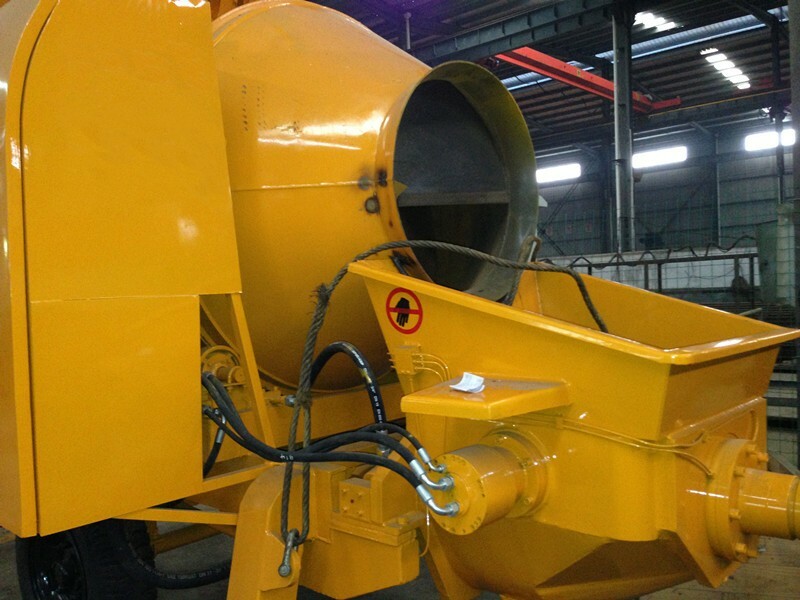 When the mixing is finished, the mixed concrete will be automatically discharged into the hopper for pumping. (During the Pumping process, the mixer continues to mix concrete). 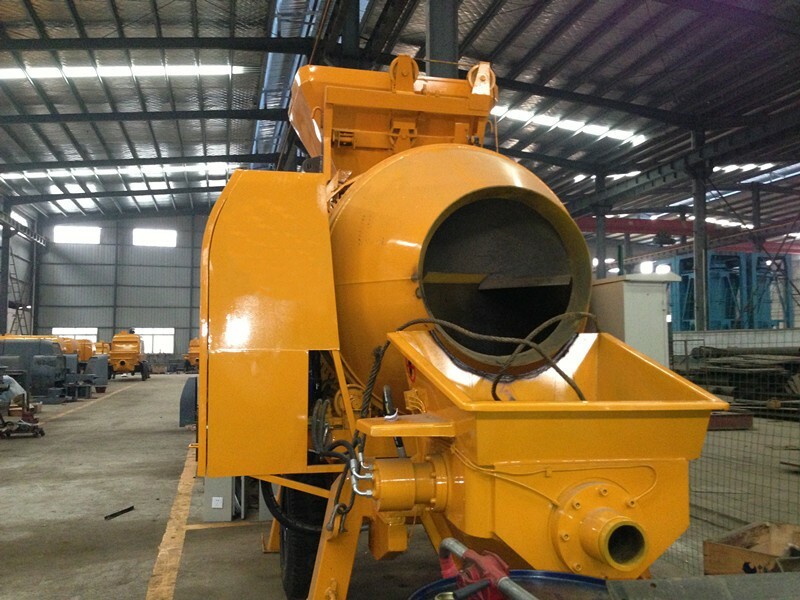 When pumping concrete, with the power provided by the hydraulic oil, the piston in the two main cylinders repeat the reciprocating movement, one cylinder forward, the other cylinder back. With the help of the swing cylinders, the S valve keep switching between the two concrete cylinders to achieve continuous pumping.